At Dublin Weight Loss and Wellness we utilize the ChiroThin Weight Loss Program that is designed and supervised by Doctors! 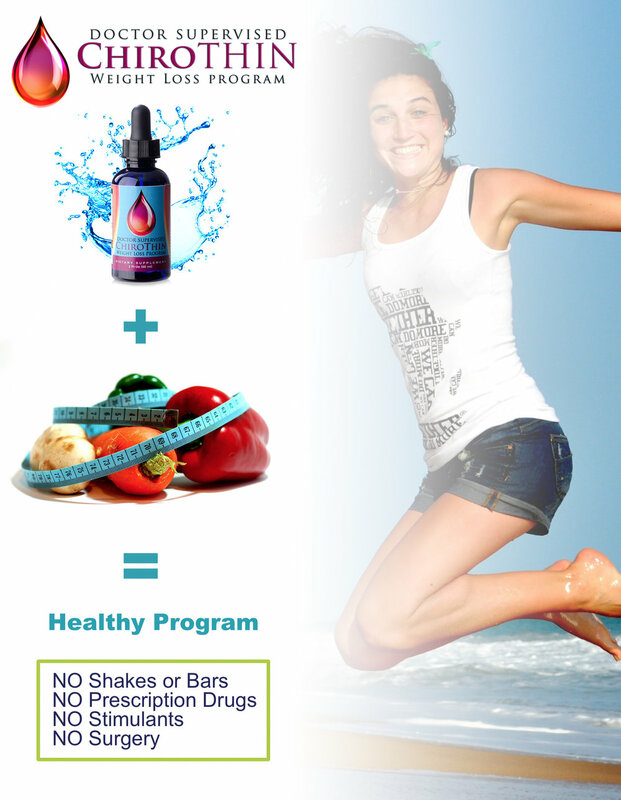 On the ChiroThin Weight Loss program you will experience rapid, healthy weight loss without hunger or cravings. ChiroThin™ is a natural dietary supplement. Its formula, developed by ChiroNutraceutical, contains a host of nutritional ingredients that are well known to aid in fatty acid transportation, fatty acid metabolism, and blood sugar stabilization, as well as increased metabolism and detoxification. When combined with specific amounts and blends of low glycemic index, anti-inflammatory foods, your body will be more efficient at converting stored fat into energy.